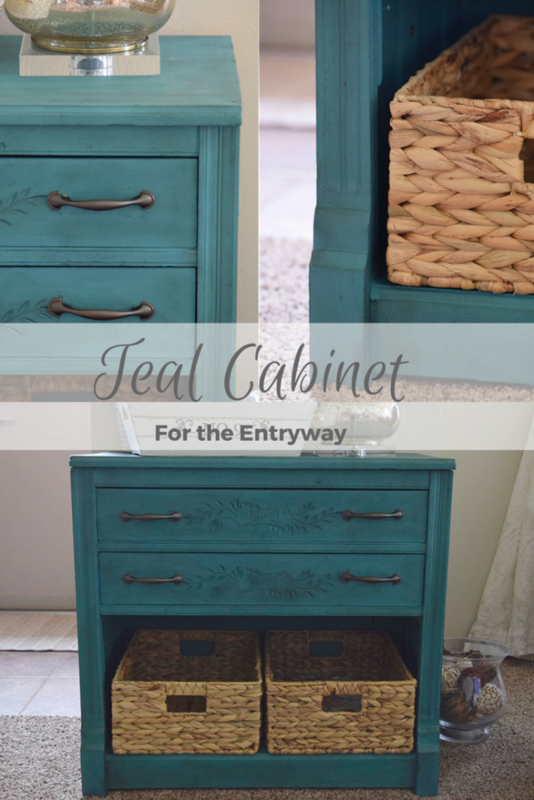 A beat up old piece gets a much needed makeover into a new teal entryway cabinet. 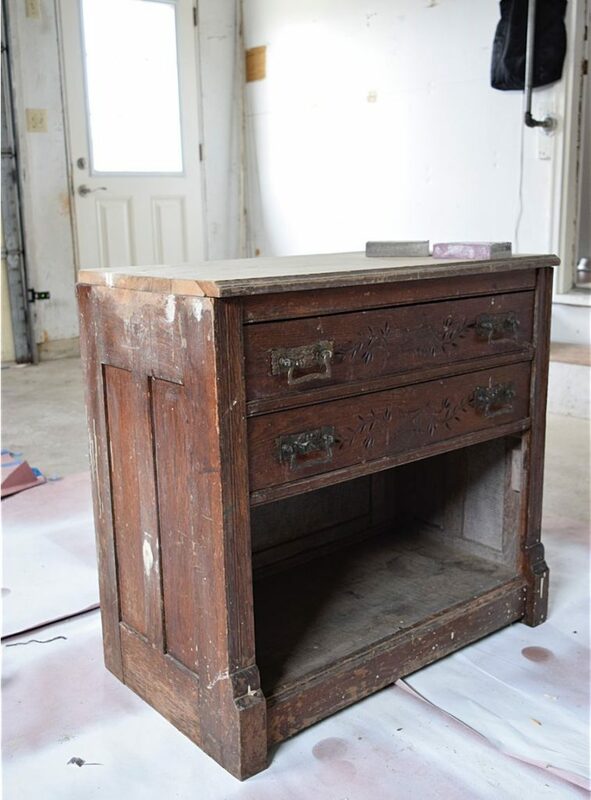 This sweet little piece was found when Vicki and I made the trip to the Junk Bonanza this spring. 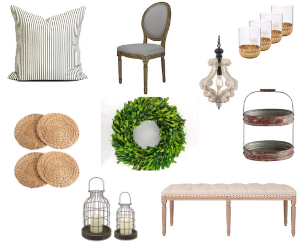 We are now huge fans of the bi-annual junk-fest and have found so many cool items for our homes there. 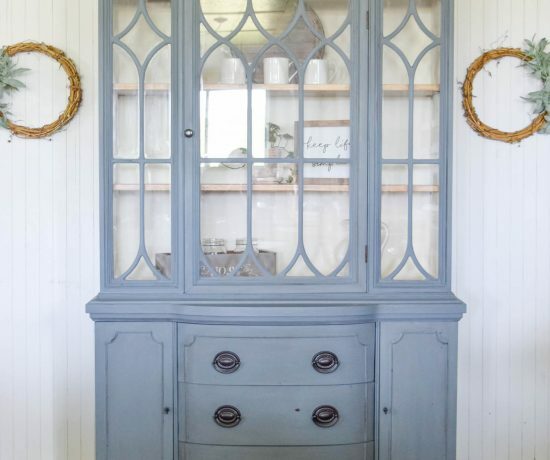 I went shopping that day hoping to find a cabinet with character for our entryway. To begin with I was pretty undecided about what I wanted, but when I found this piece for the perfect price I knew I had to have it! 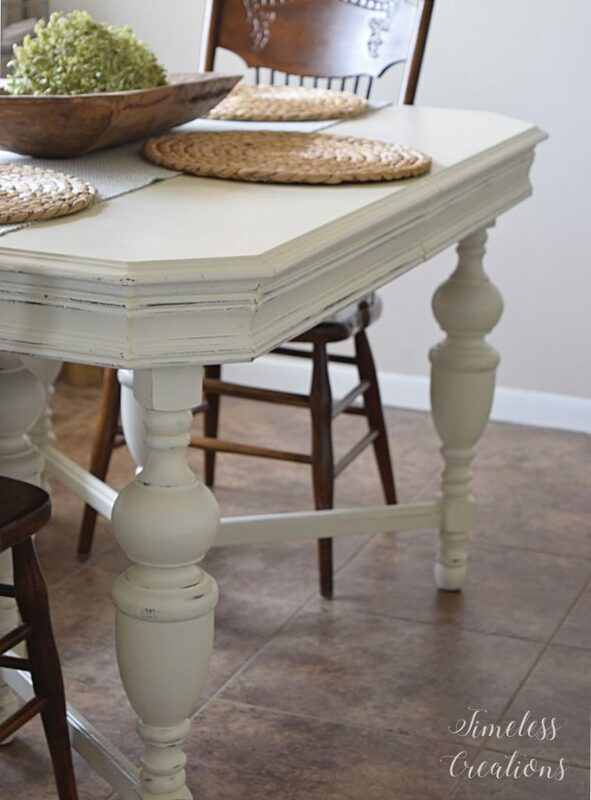 I loved the carved detail and knew it would be easy for me to makeover exactly how I wanted. How many of you would have taken one look at this piece and said “ew”?! It was pretty beat up, but Vicki and I saw the potential in it. 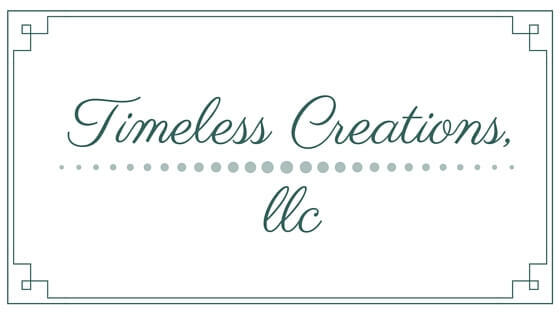 For your convenience in locating products we love this post contains affiliate links. 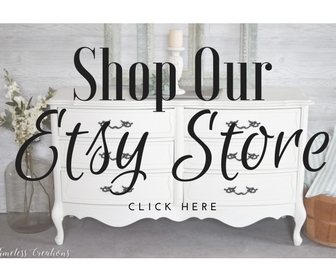 If you click a link and make a purchase you keep this blog running with no additional cost to you! Thank you for your support. That same day, still at the Junk Bonanza, we were lucky enough to take a class taught by Annie Sloan herself. In that hands-on class Vicki and I learned how to mix the Annie Sloan colors. 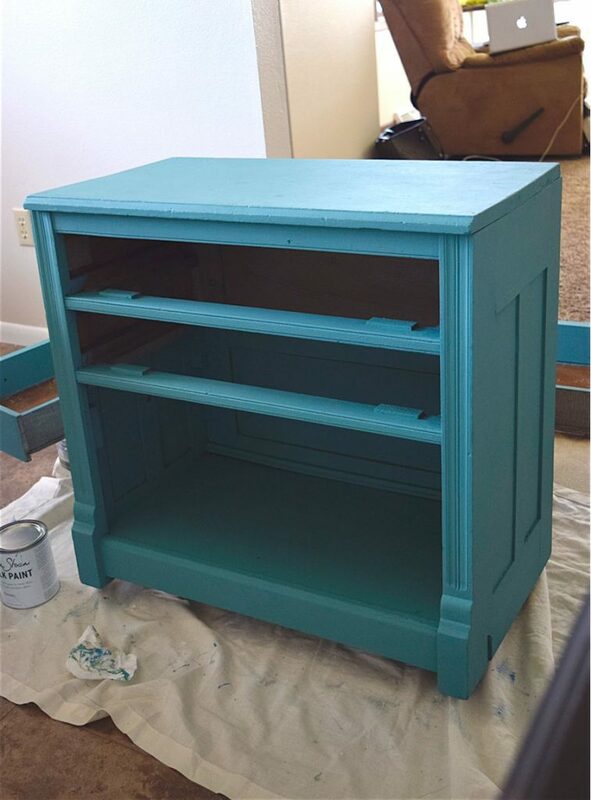 That class really inspired me for this cabinet and I decided to try my hand at mixing the colors to really make my piece unique. For my living room we have kind of a modge-podge of furniture. 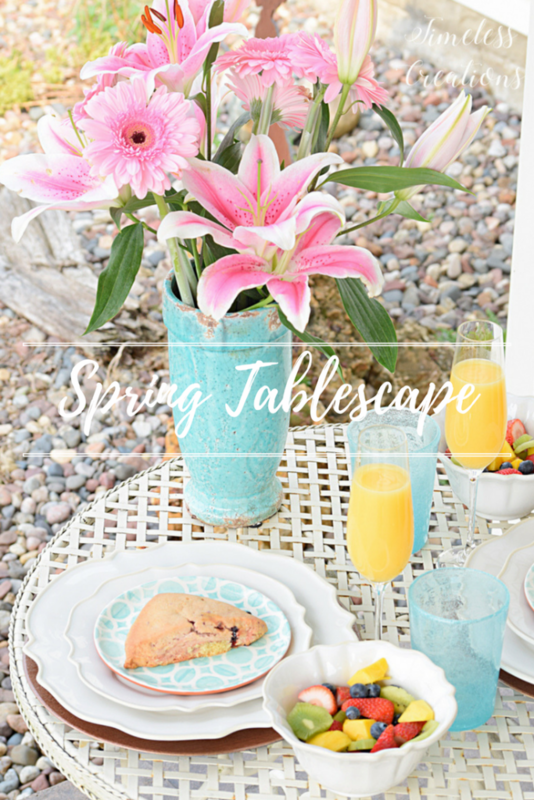 A painted coffee table, a buffet that needs to be painted (watch for that later!) a green couch and brown recliner. My wonderful husband randomly found this great slipcover that fits well and looks great on our hand-me-down couch. 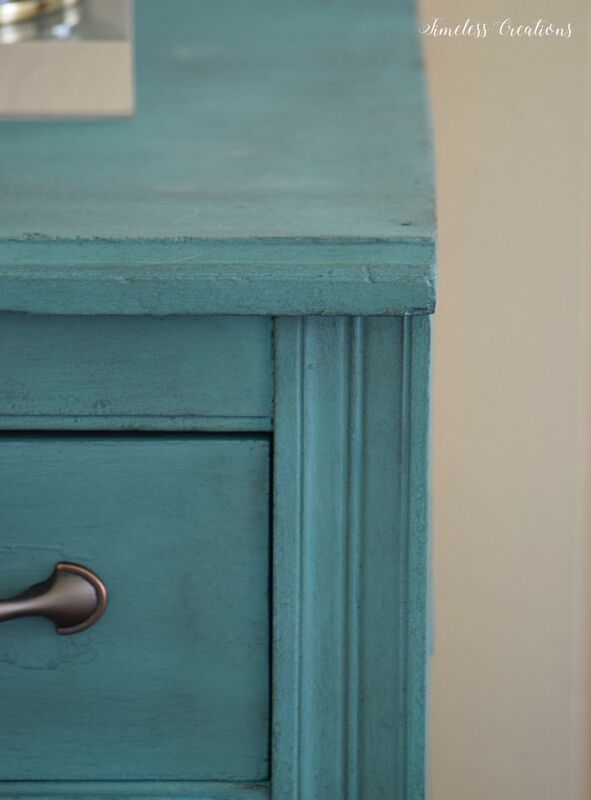 With that color covered up, I felt confident painting this cabinet in a bold Teal – which is one of my favorite colors. 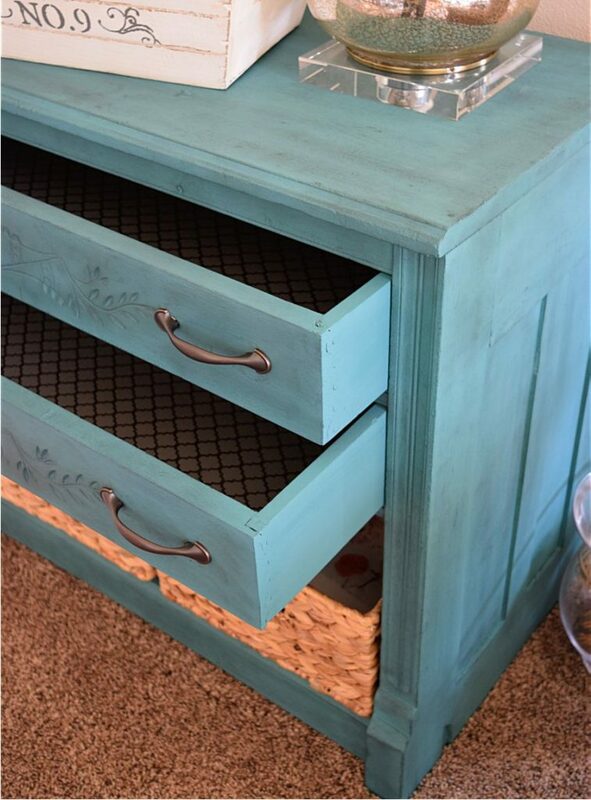 This cabinet was pretty beat up before, but I did the minimal amount of filling and sanding since I was going for a rustic, textured piece anyway. 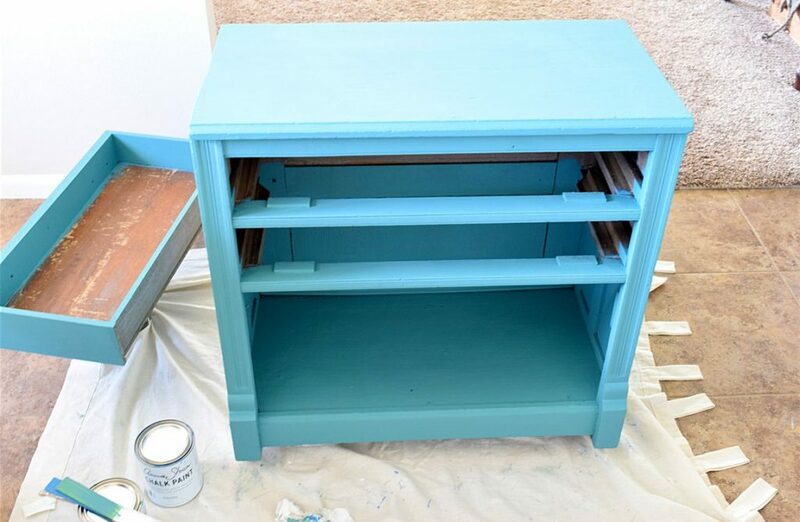 I painted one coat of plain blue first as a base coat. 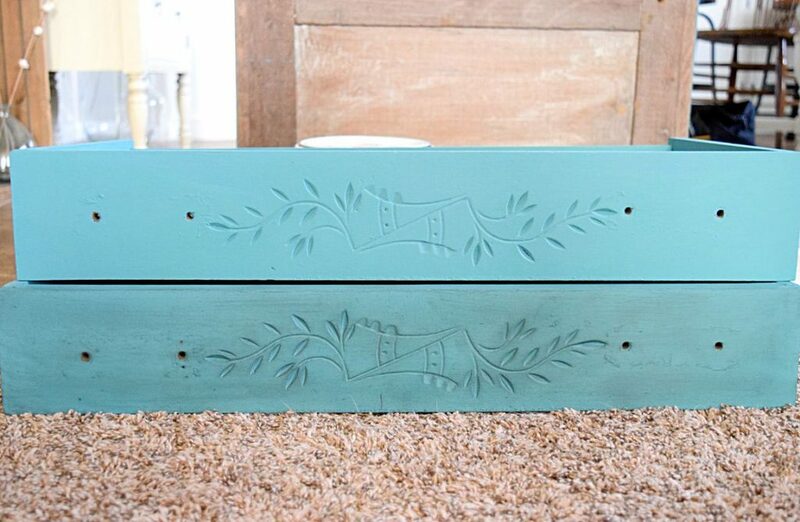 Then I took what I learned from the Annie Sloan class and mixed a custom color teal for the second layer! I was nervous about mixing at first, but it turned out so great in the end! Instead of mixing too much paint at once, I started with a little bit and kept mixing the same ratio when I needed more. While brushing on the paint, I made sure to go in all directions with my new round brush to give the piece texture since I knew black wax was going to be added as the top coat. Then while waxing, the black color can get into all the nooks and crannies of the brush strokes to make it look very antiqued. And now I have a beautiful new cabinet! It is located right by the front door so it serves the purpose of mail and key drop while we put our coat or shoes away. 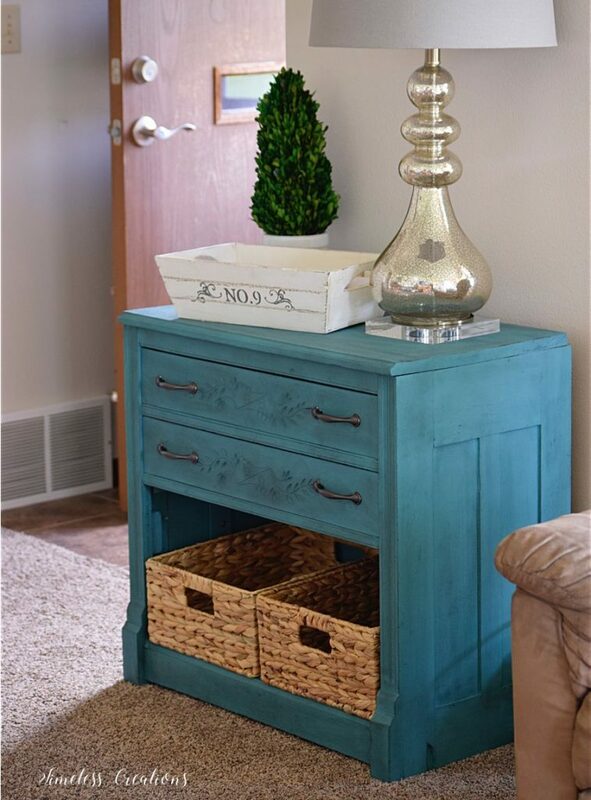 It serves a dual purpose as it also sits next to the recliner as an end table! 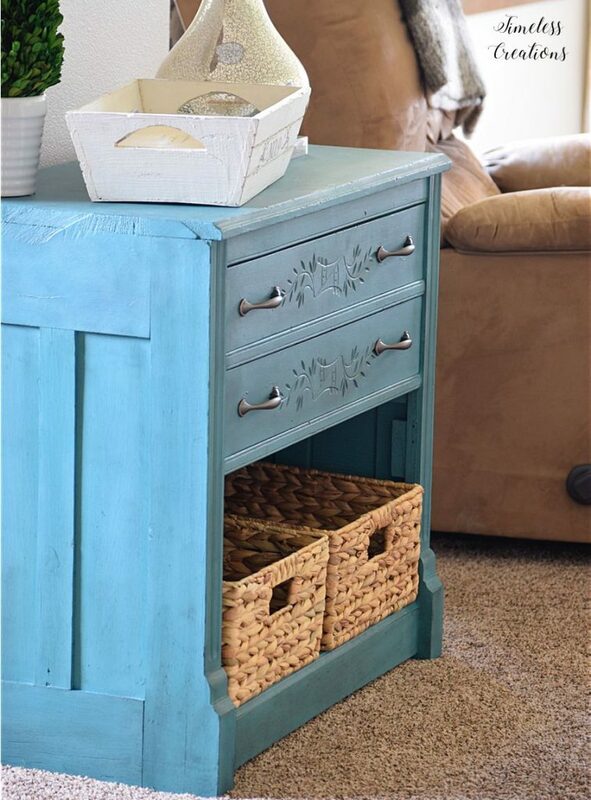 I love that is adds extra storage for our living room. 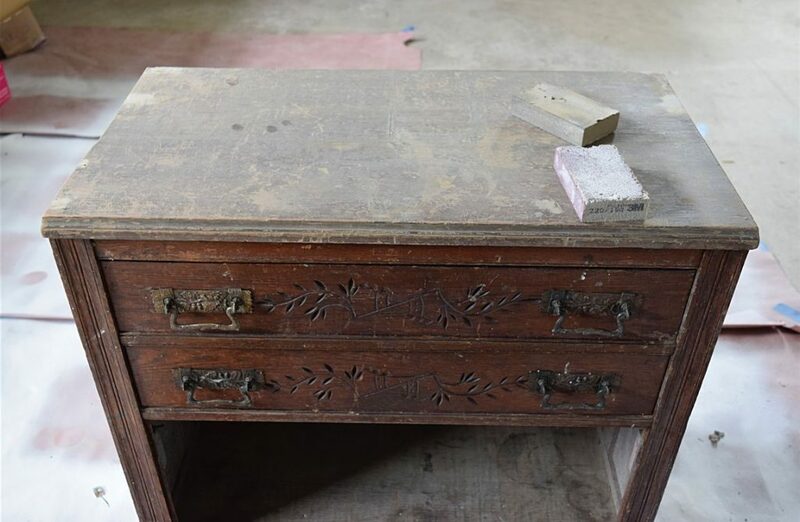 The inside of the drawers were lined with pretty paper since they were terribly beat up as well. All that was needed was to cut to the required dimensions and then use mod podge to adhere the paper to the cabinet. It was very difficult to take pictures of the real color, but it is a nice brown with a copper lattice design that matches perfectly with the new handles we added. 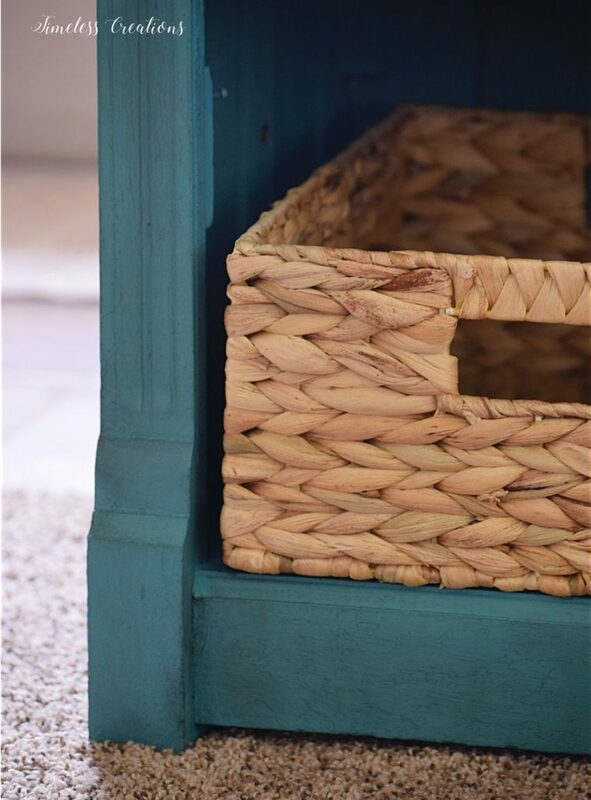 Then for the bottom, those woven hyacinth baskets (Similar) were added for style and functional storage! I foresee adding baby toys to one of those baskets soon! 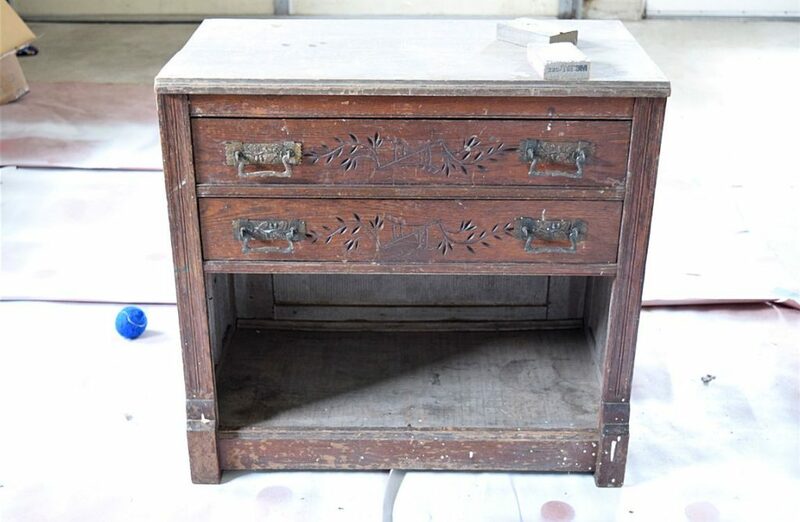 I first fell in love with this piece when I saw the carved detail in the front. Those details made this piece special, which is what I was looking for when shopping. And adding the black wax finish over the entire thing just brought those unique details out even more! Thank you Summer! It really makes a statement in my new house! 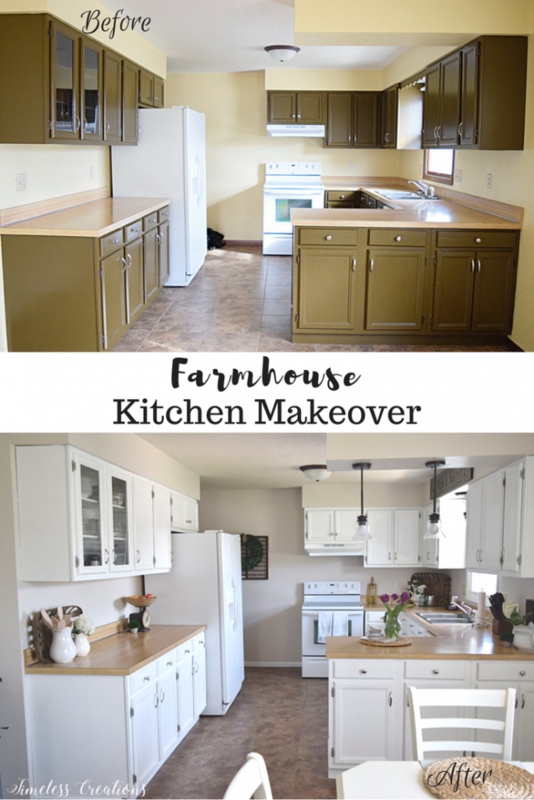 Such a beautiful makeover! It seems like it would have many stories to tell 🙂 Thank you for sharing with us at Funtastic Friday! I agree, I’m sure this piece has many stories! Now it has a new life 🙂 Thank you for visiting Angie! What a great piece. 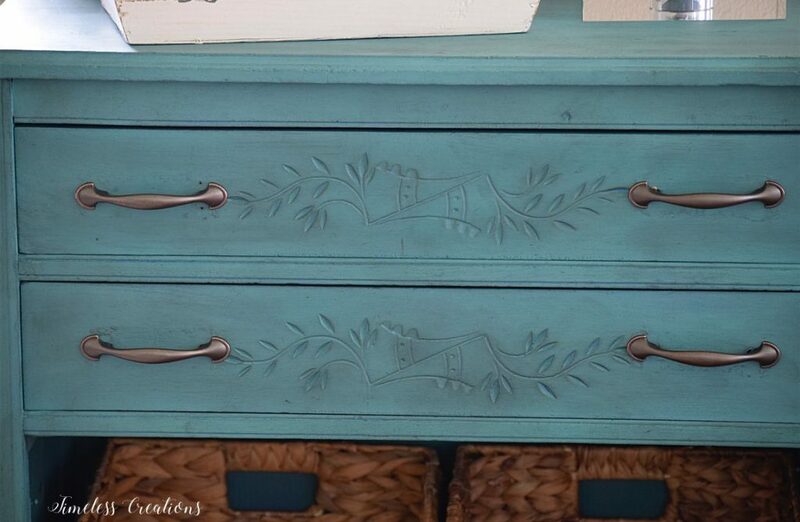 I love the detail on the drawers and the color is gorgeous. Thank you for sharing at Dishing it and Digging it link party. You saved it. It looks great. Thanks for sharing at To Grandmas House We Go. Scheduled to Pinterest too. Thank you for visiting and sharing Stephanie! Thanks for sharing at the #HomeMattersParty! You did a great job with the cabinet. I haven’t tried chaulk paint, but will be soon! 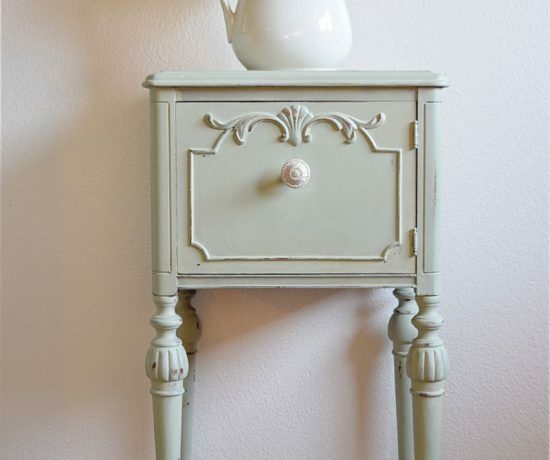 Oh chalk paint is absolutely wonderful! Thank you for visiting Lynn! 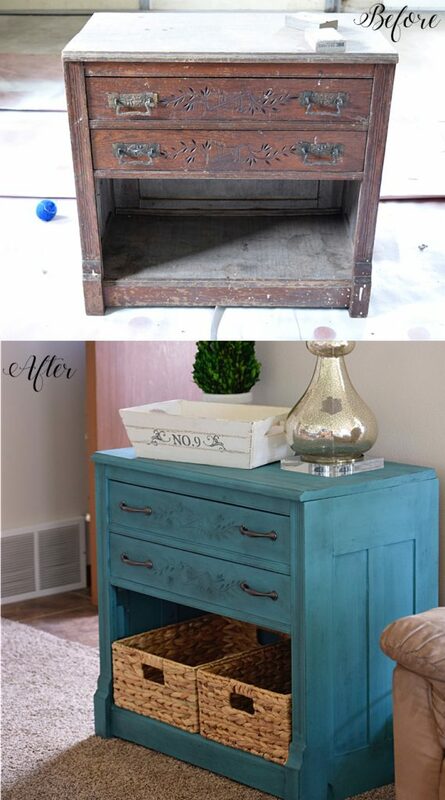 Great job on this furniture makeover! The dark wax really makes a difference to provide a sense of depth to the finish. 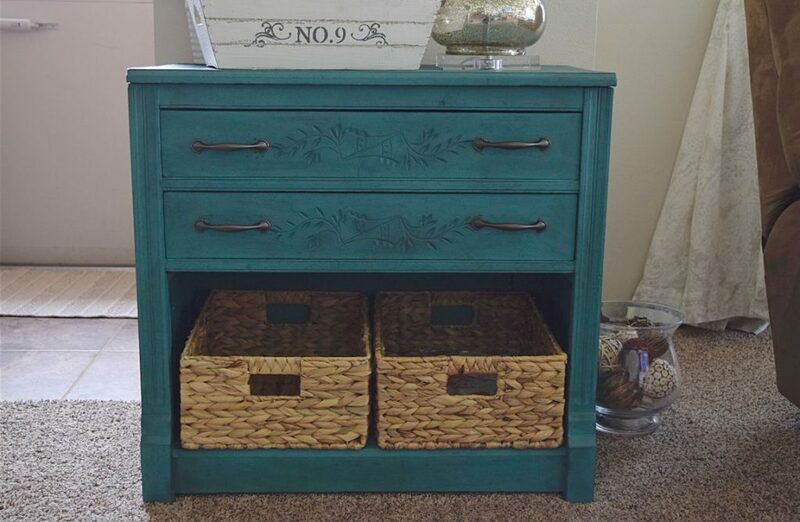 I like the way you used baskets in the lower, open portion of the dresser. Very nice results. Thank you Mimi, I also love what the dark wax added to the piece. And the baskets give a nice contrast! Thanks for visiting! Beautiful save on this piece ladies! What a huge transformation from before to after. 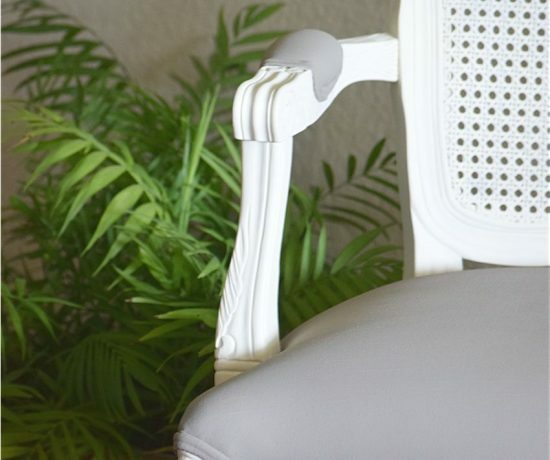 I adore the color and finish choices they really make the carvings pop, and I am featuring your project at tomorrow nights Fridays Furniture Fix! Oh Yay! Thank you so much Brenda! I love the color you chose for the makeover. The cabinet looks wonderful. Thanks for sharing at Snickerdoodle. We’ll be featuring this at tomorrow’s party. 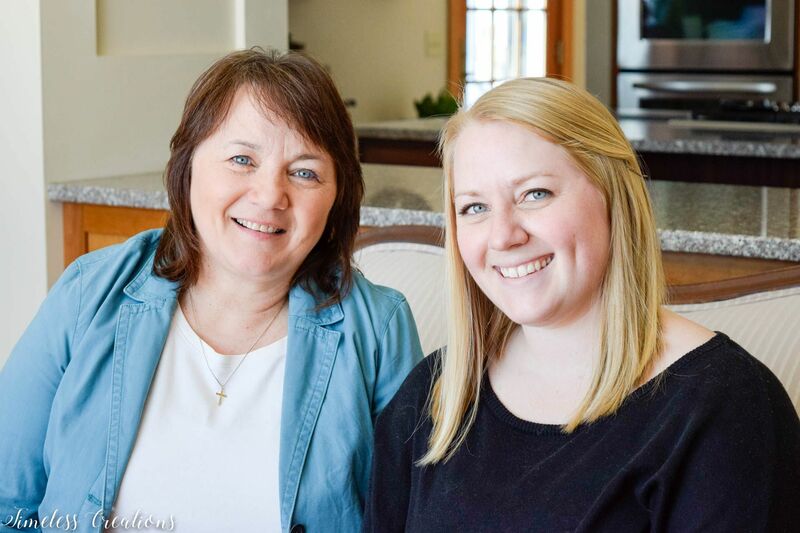 Hope to see you there, Kristen and Vicki. Beautiful makeover and the color is gorgeous. 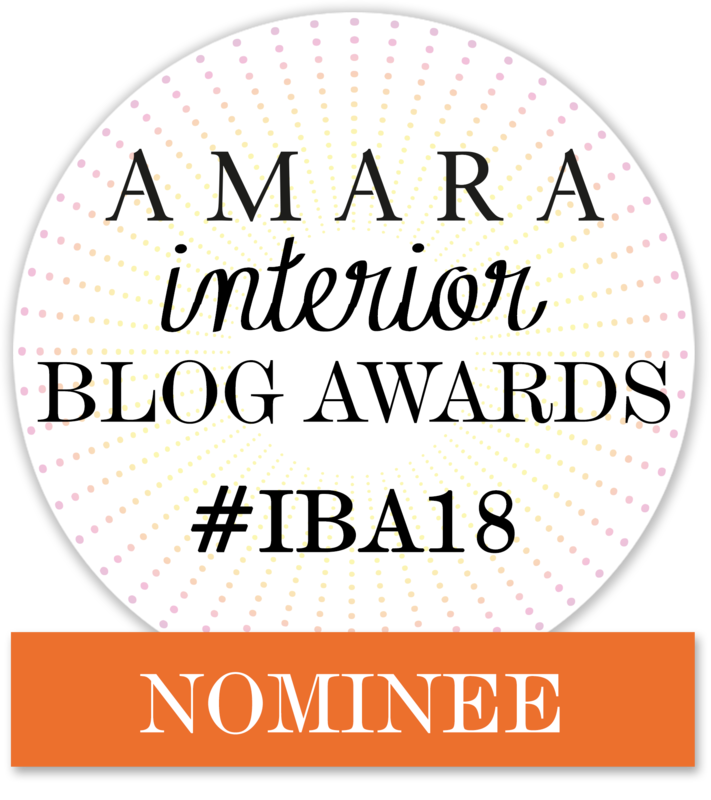 Thank you so much for the feature BonBon! We so appreciate it. 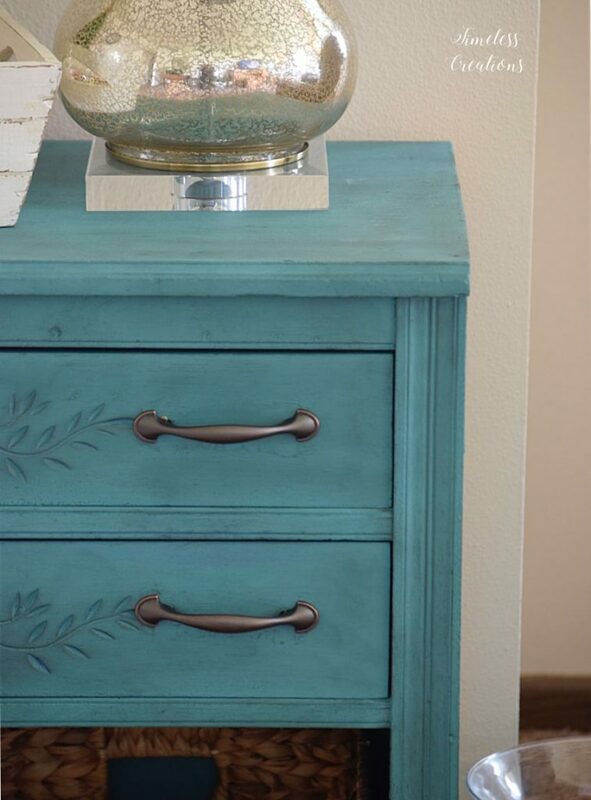 Teal is one of my favorite colors and this piece of furniture is so gorgeous. Great makeover!